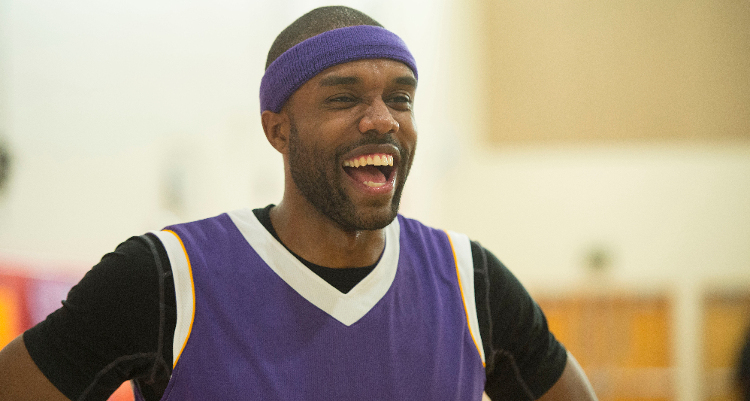 DeMario Jackson got the opportunity to make two first impressions on The Bachelorette. But who would’ve thought that Rachel Lindsay would send him packing so soon? Demario Jackson’s girlfriend drama was certainly unexpected, and we’ve got the details on what went down. It’s only Week two and The Bachelorette Season 13 started off on an explosive note. DeMario Jackson, the somewhat cocky contestant who bought Rachel Lindsay tickets to Vegas during The Bachelor Season 21’s After the Rose Special, got busted for two-timing her! Depending on whose story you believe, Jackson was in a relationship while on The Bachelorette, and it looks like he may not have ended things with the other woman before joining the show. Like the boss that she is, Lindsay had zero tolerance for his games, and instantly sent him home. But this may not be the last we see of Jackson as fans saw him return to the bachelor mansion later that night, hoping to get a word with Rachel! Bachelor Nation surely wants more on this guy and his side of the story. You can check out Demario Jackson’s Instagram and other social media accounts to play detective until all is revealed next week, and we’ve got all the details on those accounts for you, right here. Jackson is new to Instagram. He probably joined right in time for the season premiere of The Bachelorette. He says he’s a great big brother and debuted on Instagram with a post of him and his sister during her high school graduation. According to his bio, he sees himself as a cross between Seth Cohen (a character on The OC) and Kanye West. Also Read: Lucas Yancey: Is the “Whaaboom” Guy on “The Bachelorette” the Villain of the Show? Unlike Instagram, the executive recruiter doesn’t have that big of a presence on Twitter, with only slightly over 200 followers. He’s a newbie on Twitter with the username “@demariojackson.” His latest tweet mocks himself in the latest Bachelorette episode. The 30-year-old’s Instagram bio lists his Snapchat username as “jacksondemario,” so you can find and add him on the app. He’s also on Facebook and LinkedIn, but seemingly inactive there, too. Since he only joined Instagram and Twitter recently, Jackson may have taken to social media only because of the show. He said in his ABC bio that his idea of an ultimate date included “No cell phones or technology,” so we’re guessing he’s not very active online. Just when we thought we’d seen the last of DeMario Jackson, he returned to the Bachelor mansion in last night’s cliffhanger, and the guys were not happy about it. Will we see more of him, or will Rachel Lindsay send him packing for a second time? Tune in next week to find out, as The Bachelorette airs Mondays at 8 p.m. EST on ABC.